Now that's a 'rare' placecard! Or you could say a 'well-done' placecard! Have a fun-filled holiday weekend Alesix! Ok, I always laugh when I see Cathy's creative comments. She is SO funny!!! This and the special sauce....to darn cute! I guess I'd better start thinking about Father's Day!! Hope you're having a hot diggity dog good time today! Alexis, everything you do is done with such style, wit and class! 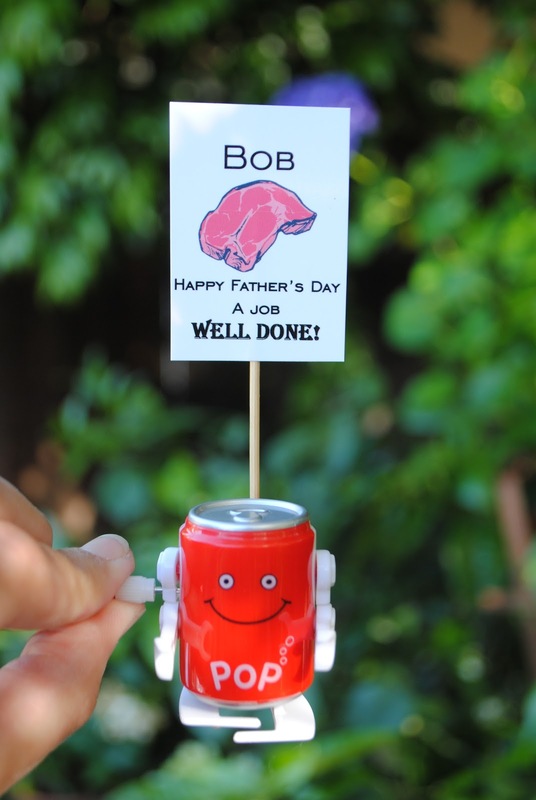 This is absolutely my favorite Father's Day creation I've seen anywhere in the blogosphere! Cute idea! Love how you personalized for each Dad. 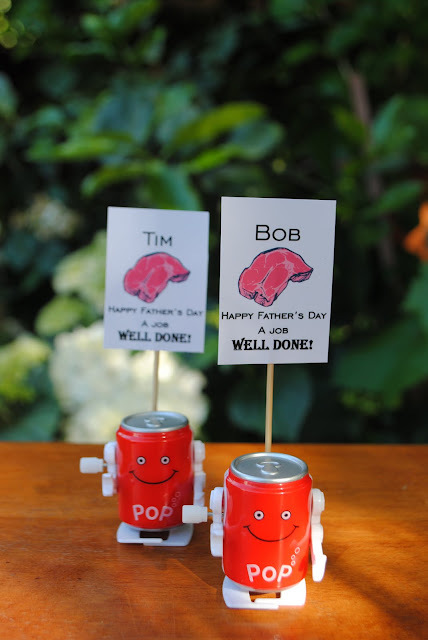 You may want to check out some of the projects we've done on Out of Office with cards. Thanks for sharing! Alexis, where did you purchase the wind-up cola cans? Love these for a future project. Thanks! Hi Brenda, I am so sorry, I honestly don't remember!